"Come. Sit. Stay." Susan has designed us our very own Tea Tin using one of our favorite pieces of art. 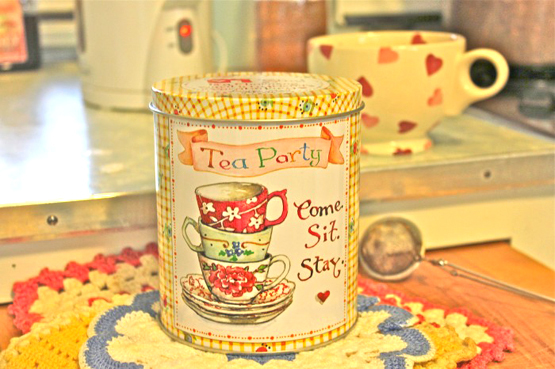 5" tall and 4" in diameter; it's a lovely little Tea Tin that will look nice on your counter. Just as cute filled with Tea Cookies.